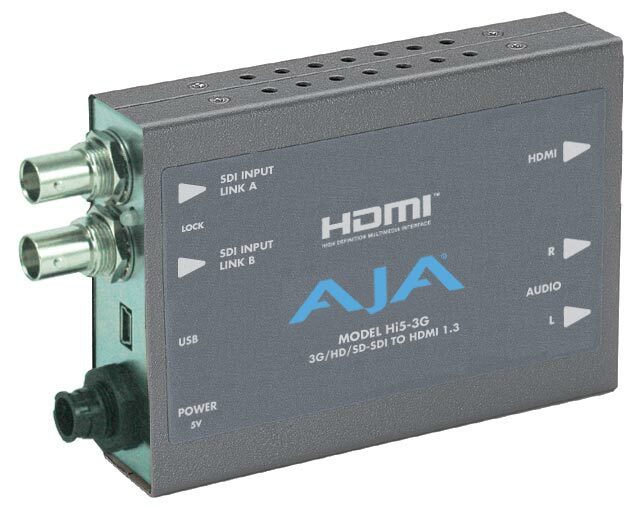 The Hi5 converts SDI or HD-SDI to HDMI for driving HDMI monitors. Embedded SD/HD-SDI audio is supported in the HDMI output allowing a convenient single cable audio/video connection. The Hi5 provides 2-Channel RCA style audio outputs for separate audio monitoring if needed. The Hi5 also provides a looping SD/HD-SDI output useful for connecting additional equipment, or for “daisy chaining” multiple monitors to the same SD-HD-SDI source. TVCONNECTIONS is now your CARPETLIGHT DEALER .Also available in rental.